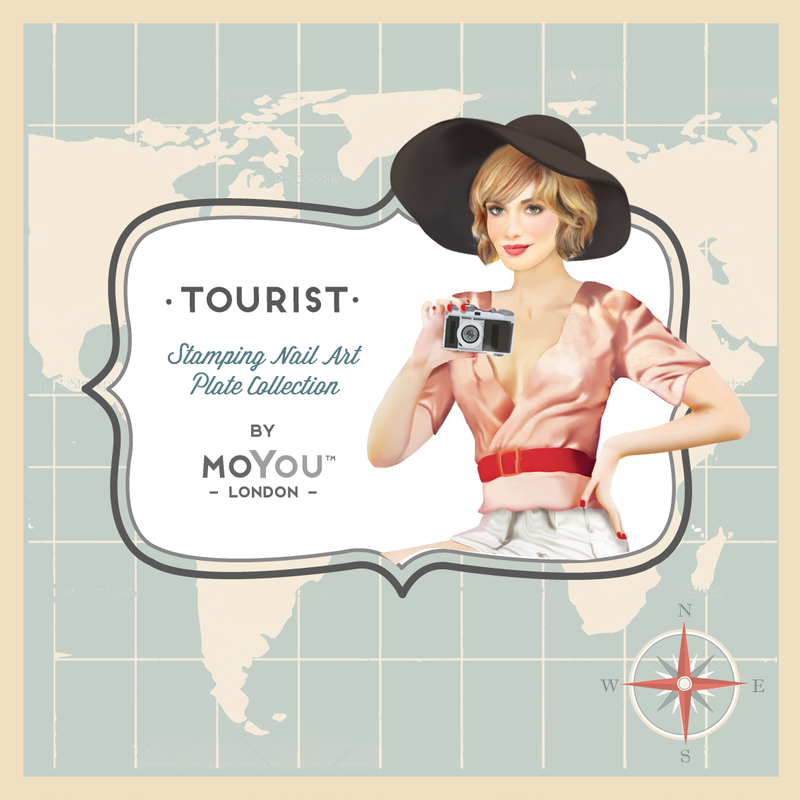 I've got a quick post here with more stamping plates releasing from the MoYou London Tourist Collection! Honestly this is probably the collection that I favor the least of all the plates. I really love ones I have but there are several in the lasts few releases that are Back To The 20's, 30's and so on that I just didn't like. The main reason being that they were sort of outfits you could stamp onto your nails in the XL size of plates and each of the outfit images on the XL plates are massive. I have some fairly long and wide nail bases and I would be hard pressed to make these images fit. They released around 5 or so plates of that variety that I passed on. That's why I'm pretty pleasantly surprised to see these new tourist plates. Instead of offering the mega-sized outfit images that will not fit a regular nail bed these two plates feature images that I'm more interested in with designs closer to those that drew me to the MoYou company in the first place. These are based more around the recent Explorer Collection themed plates featuring imagery revolving around Australia and Spain. I do think it's a bit odd though to have recently released the Explorer collection and then put similar imagery on the Tourist Collection. However what's kind of cool about this set of plates is that there is really no geogrpahical area that can't be covered from such a broad vantage point. Though I guess the same could be said for the Explorer Collection "shrugs". In any event the images from either collection do not overlap at all despite the similar themes. This plate for me is a little wack-a-doo. Lol I'm not trying to be mean or funny, but look how insane the eyes on both of the faces are. Lololol. I do have to admit though that I love the matador, psalms, and floral motifs. So what do you think? I'm definitely not as impressed as I was by last week's release but I'm glad to see the potential of the Tourist Collection heading back into the direction I initially loved. These plates will release on Friday as presale and ship out on the 1st week of December. As usual they retail for 4.99 Euro and can be found at the link above. Thanks so much for reading and see you next post!